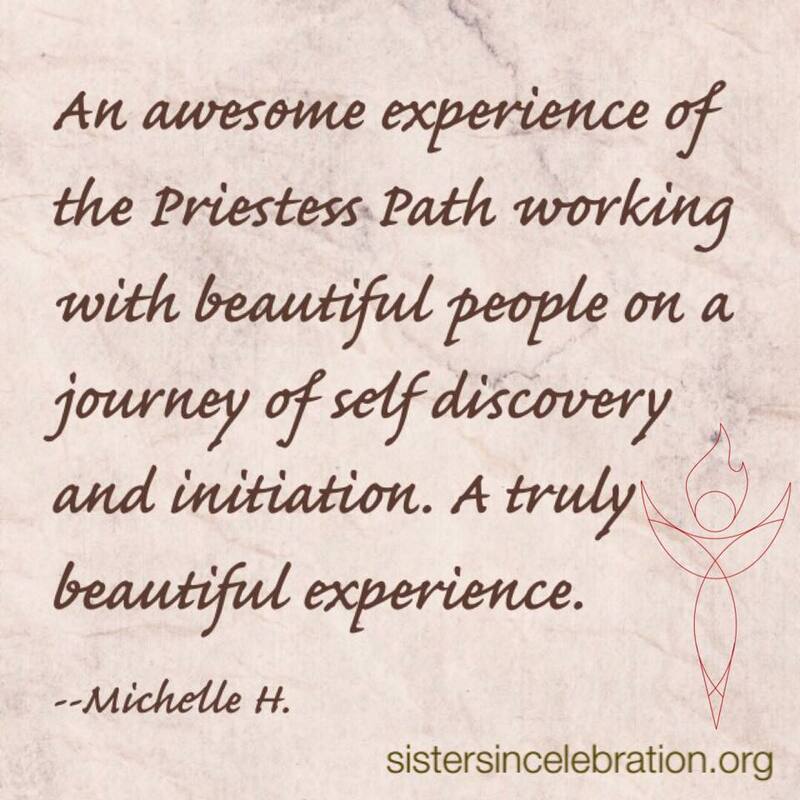 Sisters in Celebration is a safe non judgmental place where a woman can share and explore her personal path with the Goddess. 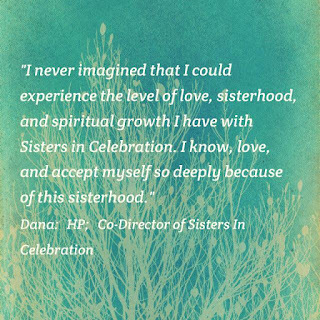 It was wonderful to be able to share my ideas and projects as well as watching other Sisters grow. -Amy B. Confidence! 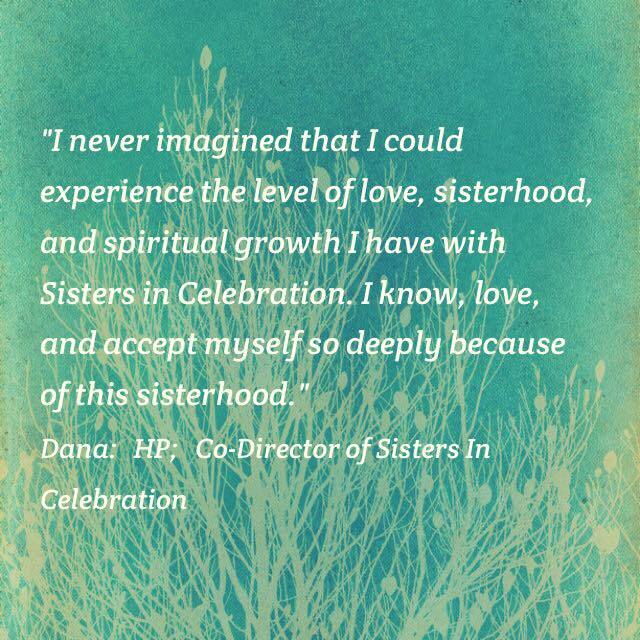 The kind of confidence that comes from experiencing divine Love. 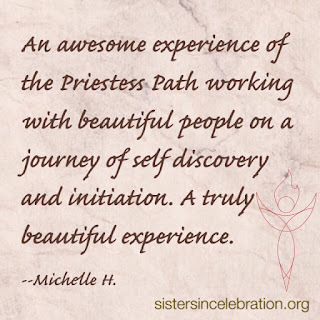 The Priestess Path allowed me to develop a connection with the Feminine Divine that was uniquely mine. 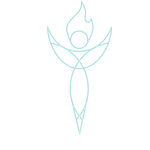 Because I made the connections for myself, there was no room for "unworthiness"--there was only Love and confidence in that Love! 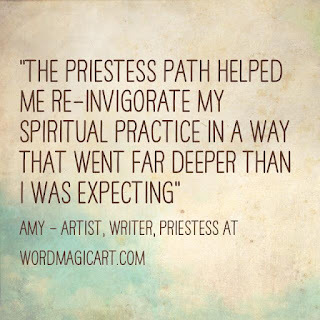 - Kali M.
I love the Priestess Path! I walk it every time it is offered. 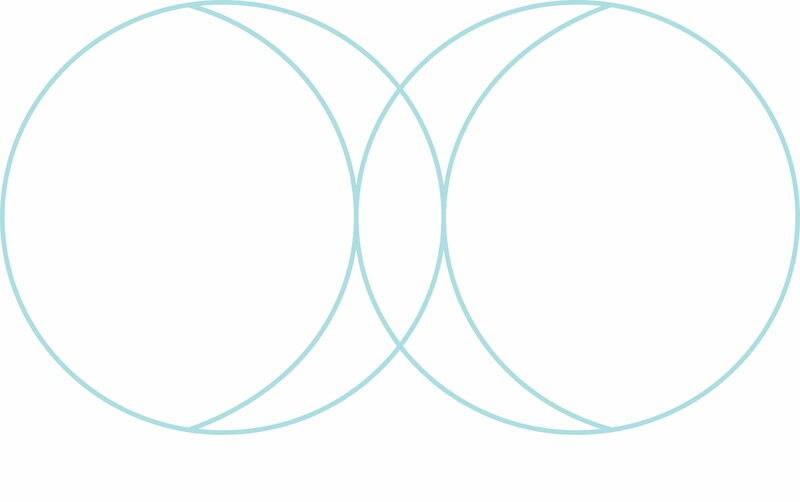 I may not do every lunation, but it seems like the ones I do are the ones I need. Dana and Nessa are there every step of the way, loving, encouraging, and cheering us on while walking the path with us. I learn something new every time. 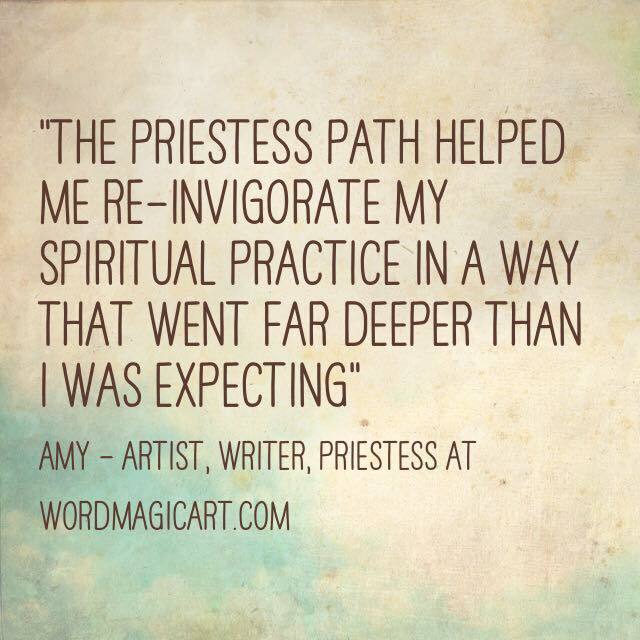 Each lunation I work deepens my spiritual practices and brings me closer to the Feminine Divine within me. - Lisa D.